You might have noticed by now that Toyota has already launched and brought in the highly popular luxury sedan Toyota Altis. While it might not be entirely a new generation model, this facelifted version is actually the one that comes with the Dual VVT-i engine. 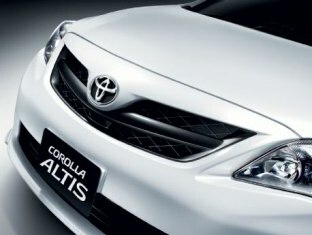 Gone are the more bulky body of the old Altis and the standard Toyota front grille and in their place are the new designed grille and a nicer and more sporty bumper which sort of give the Altis a whole new profile. The Altis, if you can recall was already a common favourite before the Vios was introduced so this new design now seeks to remind you that it is the more senior model but still the younger sibling of the Toyota Camry. There are 3 engine variants in the new Altis with the entry level being the 1.6 liter model paired with a 4 speed automatic transmission gearbox while the higher range are the 1.8 liter and 2.0 liter engines which are paired with a CVT gearbox. It also comes with HID headlamps which are blue tinted. The new ‘Dual VVT-i’ emblem sits majestically to remind you that this car comes with the new Toyota technology. Set to compete with the likes of the Honda Civics and Mitsubishi Lancer, one setback of the Altis is that it looks more a passenger car than the more sportier competitors. So Toyota would need to bank on its reputation of a good quality and reliable brand than the sporty passenger riff. However, they have the 2.0V model to contend with so buyers could be moved by this. As mentioned, there are 3 engine variants where the 2.0 V model is priced at RM131,900 while the 1.8 model has 2 trims, namely the 1.8G priced at RM122,990 and the 1.8E sold for RM112,990. 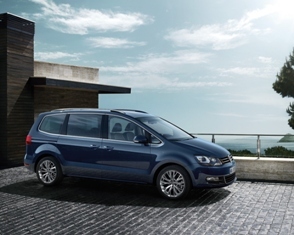 The entry level 1.6E model is priced at RM105,990. Most people would probably opt for the 1.8 or 2.0 versions considering that the 1.6 model is just a bit more than the 1.5 TRD Sportivo Vios which is currently sold for RM91,204. So unless you are out to deceive, the very much bigger Altis 1.6 liter could well be enough in that sense. Like it or not, the Altis still exudes a bit more prestige and luxury as compared to the Vios but still lacks behind the Camry, after all it is the middle sibling here. But it is a nice touch and handles very well too.